As a gynecologist for the past twenty-three years, I have been listening to women’s stories from the other side of the speculum. I am grateful to my patients for entrusting me with their histories. I am humbled by their strength, courage and integrity. From these histories I have learned about women and myself. I have been inspired to write this blog and to share composites of all these stories; always protecting the privacy of individual patients for the names enclosed are all fictional. Lying in stirrups seems to bring out the humor, pathos, sensitivity and awareness in women that outside the office, most might not reveal to a stranger. For me, the exam room becomes a private place in which I hear of the rewards and the most challenging issues facing women and healing. The unraveling of stories amazes me and reminds me of our diverse experiences with our bodies and our health and the ever-present life themes that compel us and define our lives. After all these years, I have realized the need to move these reflections beyond the small venue of the office; all that is learned by the individual woman should be a part of our collective knowledge - it is of critical importance that we speak out and avoid silence around our bodies and our health. I am writing to bring these revelations to a broader audience and to share a bit of myself as I do so. I want to merge these stories with my expertise and experience as a woman caring for women. Each column will be an opportunity to share an insight or question a patient has brought to the office; what follows are my own discussions on the matter. This is not meant to replace medical advice or in lieu of seeking care. I hope my words will inspire, entertain and empower you. I look forward to including my reader in the world of women and healing. My life as an obstetrician - gynecologist started in Pennsylvania in 1990 working in a community hospital delivering babies and learning the art of gynecologic surgery. As hard as residency was, I realized early on that I had chosen a career that suited me. The practice merged my interest in women’s health, reproductive policy and surgery perfectly. I spent many years assisting woman deliver their babies and then decided to focus on gynecology (only)- appreciating that in most offices, the concerns of adolescents and women not having babies, were often marginalized by doctors. I was interested in creating a professional arena for women to discuss these non-OB related issues. 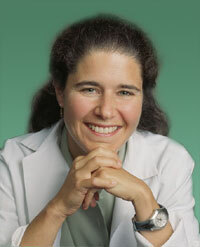 I have worked in a private practice for 14 years in Rhinebeck, NY. I have seen over 10,000 patients during those years. My work includes office GYN and surgical interventions, including advanced laparoscopic surgeries while lecturing both to professional peers and lay audiences.